ENTRIES OPEN THURSDAY 7TH JUNE AT 5PM AEST. The Billabong Parko's Grom Stomp is the fourth of its kind in Australia alongside Taj’s Small fries (Yallingup, WA), Oz Grom Cup (Coffs Harbour) and the Occy’s Grom Comp (Gold Coast, QLD). The event attracts grommets from all over the nation not only in hope of the youngsters having their name etched to the famed perpetual trophy but more importantly, proof and self confidence towards a bright future as a surfing professional. 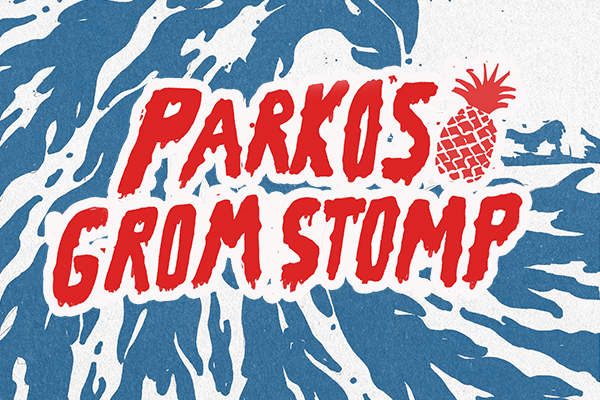 Based at (Sunshine Coast, QLD) and running from 30th August- 2nd September, the Billabong Parko's Grom Stomp is a national event with competitors travelling from all surfing states of Australia. Please note: There will be no requalification round in the 10 and under Boys and Girls divisions. If your division is full, please register on the RESERVE LIST. The Surfing Queensland Code of Conduct will be strictly enforced for participation in our Events. Please also note our Refund Policy. The running format and heat draw will be prepared on a day-by-day basis and uploaded to this page for downloading. This is a mobile Event with the location being dependent on the conditions on the day however, the preferred location is Caloundra. The Sunshine Coast Event Permit covers from Noosa down to Kings Beach. Please call our Event Hotline (07) 3030 6388 from 6.30am each morning of the event to find out the exact location and start time.